As far as I can tell, being a motorsport journalist and film director really only have one thing in common, and that is that fans would be amazed at what ends up on the cutting-room floor. Interviewing drivers and team figures is one of the most enjoyable parts of the job. Most of the time, an interview is conducted with a specific purpose in mind - access at the top levels of the sport can be quite tightly controlled, particularly during race weekends, so time constraints usually demand that you stick to the subject or risk reaching the end of your slot before you've gotten everything you need. The flip-side to this is that when you do have the chance to wander off the main subject, you can't always find a way to use the material that you get. As a result, plenty of interesting stuff never makes it any further than the journalist and their voice recorder, purely because it's not relevant to the angle of the story. This was brought home a couple of months ago. I was at Okayama in Japan for the penultimate WTCC round of the season, and I'd sat down with Alex Zanardi to get some quotes for an edition of Photo Finish in Autosport magazine, where we'd decided to revisit his brief cameo as a sportscar driver in 1995. It's an often-overlooked chapter of his career - even his autobiography blips over it - but an important one, for reasons that I'll leave it to him to explain. I was hell-bent on getting through the conversation without bringing up the Lausitz accident, partly because it wasn't remotely relevant to what I needed to talk to him about, but mostly because he gets asked about it in pretty much every interview he does. Zanardi thwarted me by bringing it up himself, but in retrospect I'm glad he did because what he had to say offered an interesting glimpse of how he views the consequences of the crash seven years on. Autosport magazine readers will already be familiar with Zanardi's account of his extraordinary drive in the Lotus Esprit Sport 300 in the wet Silverstone round of the 1995 BPR Series, as the piece that came out of this interview was published in the December 11 issue. But given Zanardi's status as a world-class raconteur, we thought we'd share the full transcript of the chat. It's a classic Zanardi interview - ie, four or five questions yielded about 1300 words. We spoke on the Saturday evening, a couple of hours after he'd endured a rather disappointing qualifying session for the following day's race. It's not by any stretch the 'definitive Alex Zanardi one-on-one', but rather a snapshot of the sort of things that can come out of conversations that any Autosport journalist will have a dozen times over the course of a race weekend, and which rarely end up being using for much more than background information. Running the full transcript of chats is something that we might do more often in future, depending on whether it is interesting enough (we do cut out an awful lot of flab), and whether there is any demand for it. In the meantime, enjoy Zanardi - the director's cut. 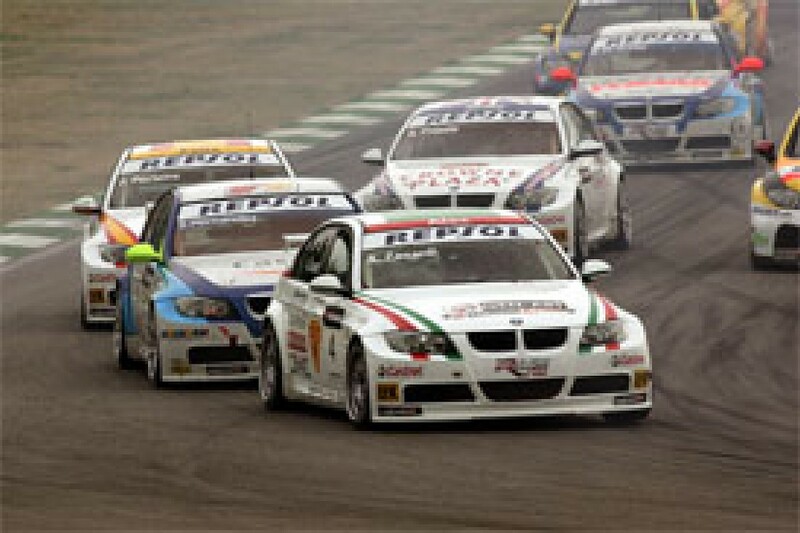 Alex Zanardi: "Wow! (laughs) That would be a pleasure." Zanardi: "That is correct. I remember most of all the argument that we had with George Howard-Chappell, who today is the technical director for Prodrive. At the time, the team literally had no money, and I was driving for them and that was a very important race because they had a lot of people from Lotus cars there, so they were really hoping for a good result to get some money from the factory to promote the programme. "And they were very scared. I wanted to start with slicks and they kept saying, 'No Alex, please, no, no no. It's too big a risk.' And while the discussion went on, we got to the point where it was too late to change back. Actually, when people took the blankets off, most people were on slicks. It was the right thing to do because the circuit was getting dry, and sure enough four laps into the race we had to pit for tyres. "At the time you didn't have proper pitstops like in Formula One, so you lost a lot of time. As a result of that it was amazing that we were able to unlap ourselves in a GT2 and finish only 19 seconds behind Andy Wallace in the McLaren. Had it not been for that, we would have won the race in a GT2, which would have been unbelievable. We had 300 horsepower in comparison to the 700-plus that they had. It was a good race. I remember at one point it was pouring down with rain and in a certain part of the race I was eight seconds faster than anybody else! That's how we recovered so much time. The car was really good - flying." Q: Career-wise, that was a very difficult time for you. The Lotus F1 programme was off the radar, and you didn't have a lot of other options. Zanardi: "That's right. That [sportscar] was the only ride I got that year. The only other job I got was as a safe driving instructor. It was the only thing I had. But I have always been a very optimistic person. If I look back at the guy I was... man, there was not a lot of reason to be optimistic. But I was. I didn't think my career was over. I said, 'What? I did not even think about that; it is too much for me'. But he said, 'come over to the States for a couple of races, I will introduce you to some people, and we will get you a ride there'. 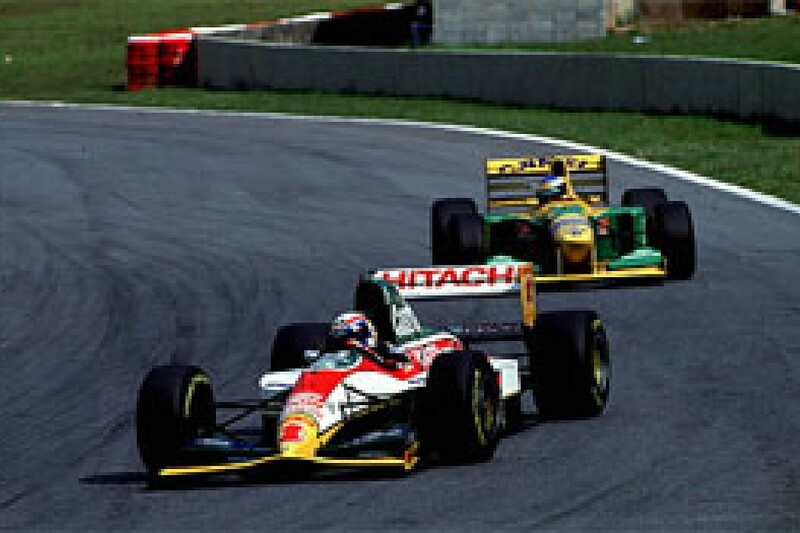 "That was the year that he pushed Gil de Ferran to drive for Jim Hall with a Pennzoil car, and Gil was doing very well. I think to a certain degree I owe him a lot, because he opened the road for European rookies. Before then people were very sceptical because the ovals, powerful cars, this and that, you need experience... they were not open-minded. They would not even consider a young gun from Europe." Q: If you hadn't had that conversation with Rick that weekend, would you have considered sportscars as a full-time career? Zanardi: "You know, everything I have done in my life, I never felt it was like a B-choice. That [sportscar] was what was available and I was very enthusiastic about doing that. Had it been possible to stay with Lotus for the whole season for the following year, I would have seriously considered that as a good option. "Fortunately for me, things went even better. That was really a very important turning point, not just in my career, but in my life, because I went to be from an unknown European driver who had been kind of promising at one point in his career but never really lived up to his promise, and people were doubting whether I could ever be worth another chance. "To become number one, the cat's meow in the United States... the guys who would break the news every week were talking about me like I was the new Ayrton Senna of American racing - which was a big switch!" Q: It's amazing how quickly your situation can change. Zanardi: "It really is. But honestly, I have always appreciated the compliments I received then, as I do today. You see a guy with no legs and people think that everything he does is just a miracle just because he stands up. "And that's the way it was when I first started to drive over here. Just because I was able to pull away from the garage, people would start to clapping and saying, 'Wow, super guy. Wow. What he is doing is fantastic'. "Now, people tend to come to me like today because I didn't qualify very well and say, 'what happened?' And that's very good - that's a very big compliment, because it means that I have changed in people's minds, the expectation. You know that they know what I can do. "But at the time, nobody would expect that somebody with no experience like me could do so well. But in reality it also doesn't happen very often that a newcomer, unknown like I was then, would find himself driving the best car in the field. Because that is what I had in my hands. Ganassi gave me a fantastic car. 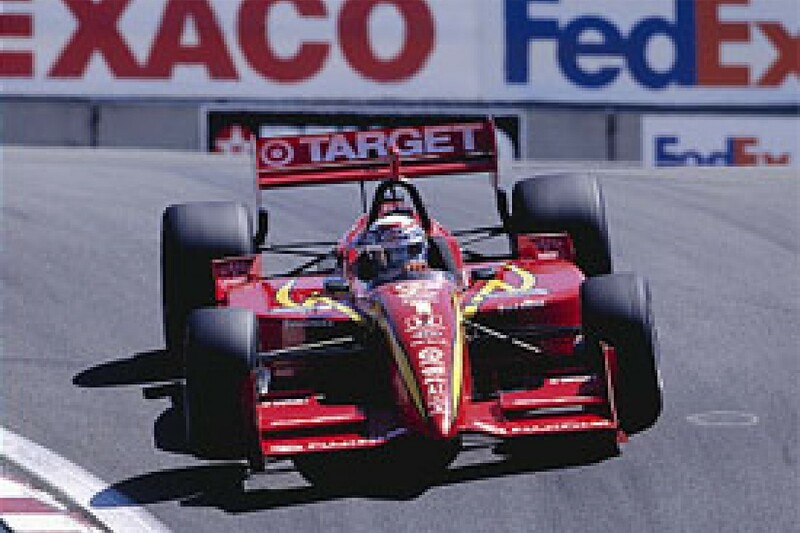 People tend to forget that Jimmy Vasser won the championship in the year of my debut. And the following year, OK, I won but he finished third. But it was a hell of a car." Q: Speaking of qualifying, what did happen today? You seemed to lose time behind [Takayuki] Aoki at the last corner. Zanardi: "Yeah. In reality, today is one of those 'very normal for WTCC' cases where if you don't have the super speed that the Schnitzer guys have, you get stuck in that area where 0.1s could have a big, night-and-day difference. "I think I had a good lap in line - I did my best sector in P1, best sector in P2, so I was looking at a mid-37, which could have been from P7 to P15 (laughs). But for sure it would have been better than where I am now. "I was getting closer to Aoki, but in reality he didn't do anything wrong. It was just a case where Alain Menu was warming his tyres, getting ready to start his lap, and he saw him coming, and had he been a white BMW he probably would have let him by. "He didn't realise I was coming so when I arrived he just panicked, he didn't know what to do and he held me up. Nevertheless, that was my fastest lap of the race, despite the fact that he held me up and we made contact and I bent my car a little."